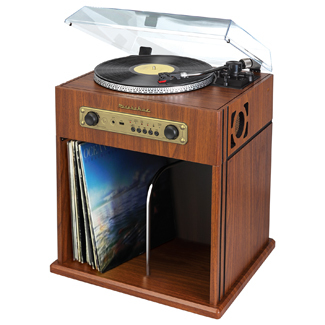 Play and store your vinyl music collection with this Studebaker 3-Speed Stereo Turntable with Bluetooth Receiver and Record Storage Compartment. This turntable with full size platter and auto-return features built-in speakers so it works as a stand-alone music system. You can also wirelessly stream your music from any Bluetooth enabled device. 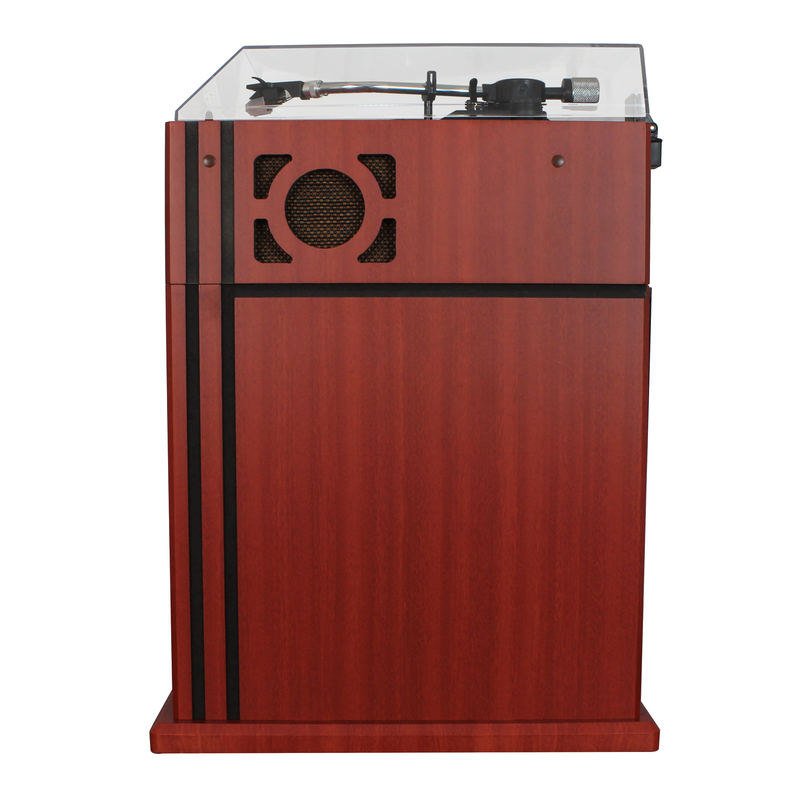 This belt-driven unit is versatile enough to play all three common speeds (33-1/3, 45, and 78 rpm) so you're not restricted to any one part of your record collection. 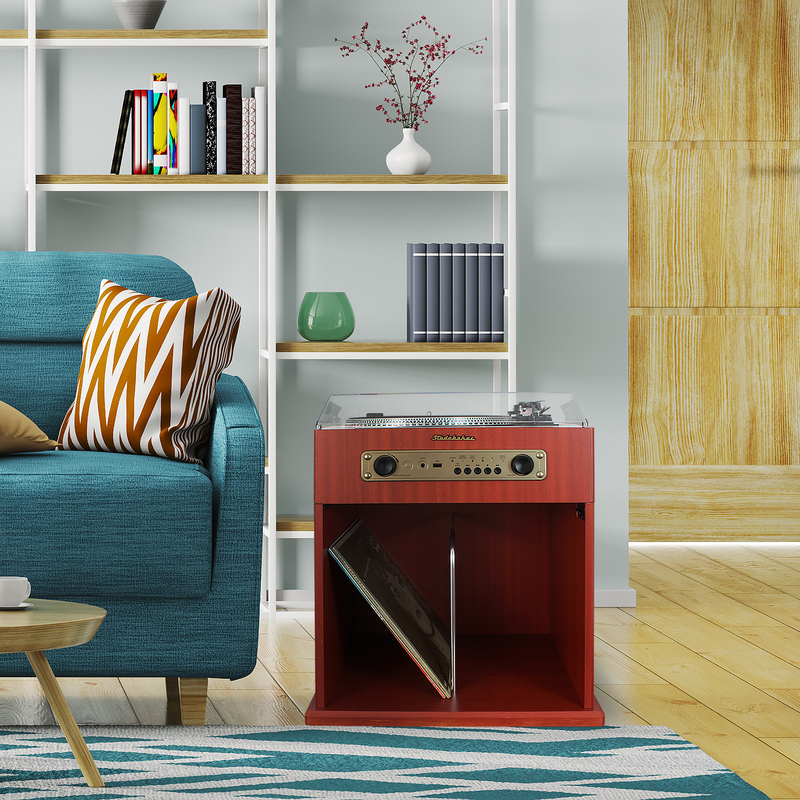 The spacious record storage compartment enables you to keep your favorite albums safe and close at hand. 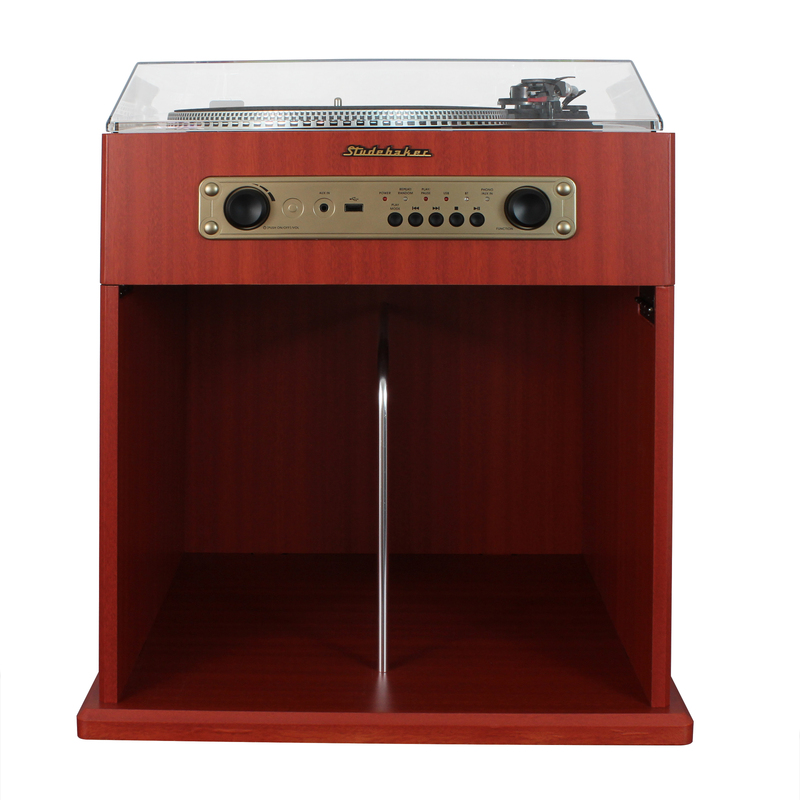 In addition, the classic, nostalgic cabinet features an auxiliary input jack that allows you to connect to your iPod®, MP3 player, or any other digital audio players. There is also a USB port for music playback from a flash drive. 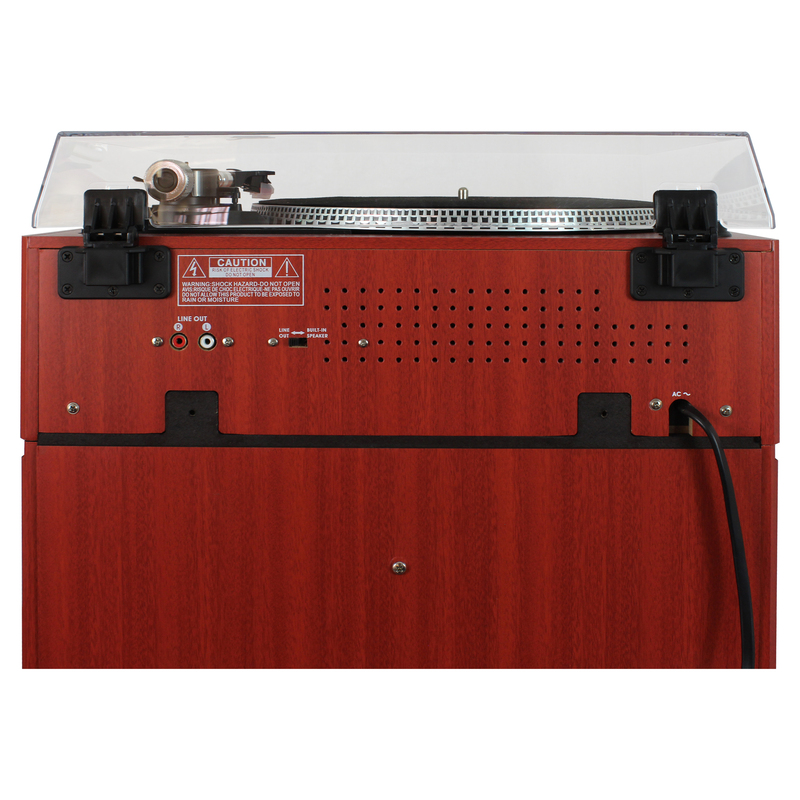 The unit operates on 120V AC and includes a dust cover for protecting the turntable when not in use.